Is it a competition harness, or an XC harness? It doesn’t have a huge aerodynamic tailfin that you’ll find on the likes of the Gin Genie Race 4 and Kortel Kanibal Race 2 and Ozone Exoceat. But the Supair SKYPPER 2 has everything else you’d expect from a top of the range harness: two reserve containers, thick 18cm back protection, generous storage pockets, a wide instrument cockpit and removable panel, and drogue chute pockets on both sides. It is a slightly different take on the competition harness that makes it more appealing to a broad range of experienced XC pilots. The new Supair styling is evident in the Skypper 2, and it places it in a clear alignment with the recently released Supair EVO Lite and Delight 3. It shares a comfortable stability, but has slightly more freedom than the Delight 3, offering more feedback and information. This translates into great control for wing-overs and high angle manoeuvres, which suits its target of experienced XC pilots. 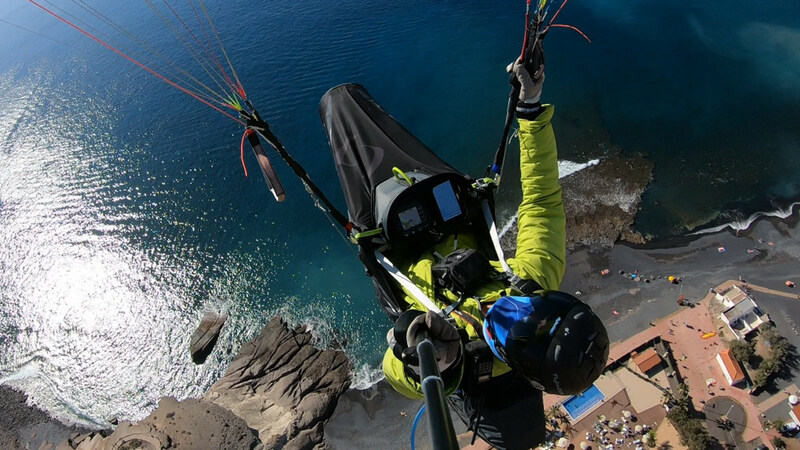 If you’re looking to control the energy of your newly-acquired high aspect wing, this harness will help you with a balanced and direct feeling provided by a solid seatplate and good geometry. The structure in the back and sides is really evident during thermic flying, and especially when accelerated, where the contact with the harness and the lack of flex means you don’t get an arch in your back and can remain focused on piloting the wing during high G situations. The straps and connection system are well designed and easy to engage, with a bit of practice. If you opt to use the second reserve pouch you’ll need to clip the reserve onto the carabiner webbing loop before launch. Both the standard pocket/panel or pouch/panel are included with your purchase. This flexibility is unique: for CIVL Cat 1 competitions, two reserves are mandatory, which limits pilots to adding a non-proprietary external reserve mount to their basic one-reserve harness, or upgrading to a full-fat competition harness. 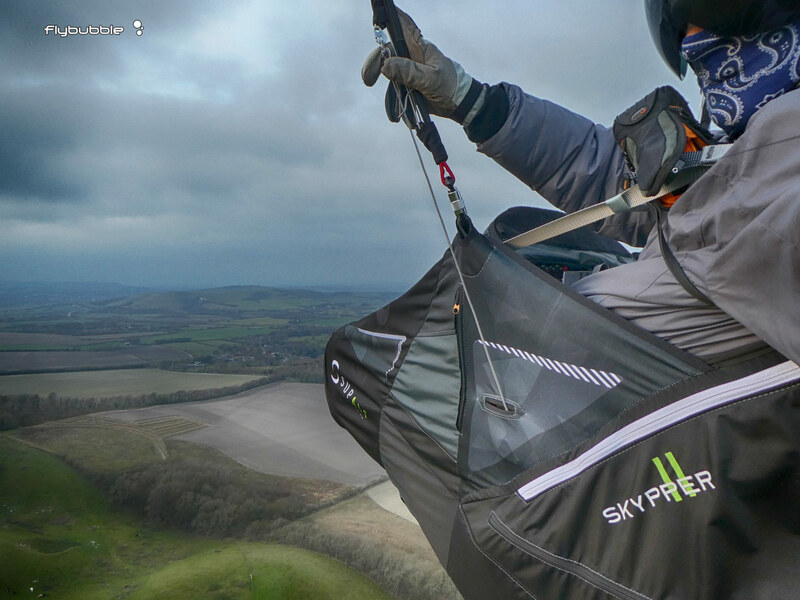 By offering both options, the Skypper 2 offers a great solution for someone who might progress into international competitions, but doesn’t necessarily want the extra weight of a second reserve for most of their social XC flying. 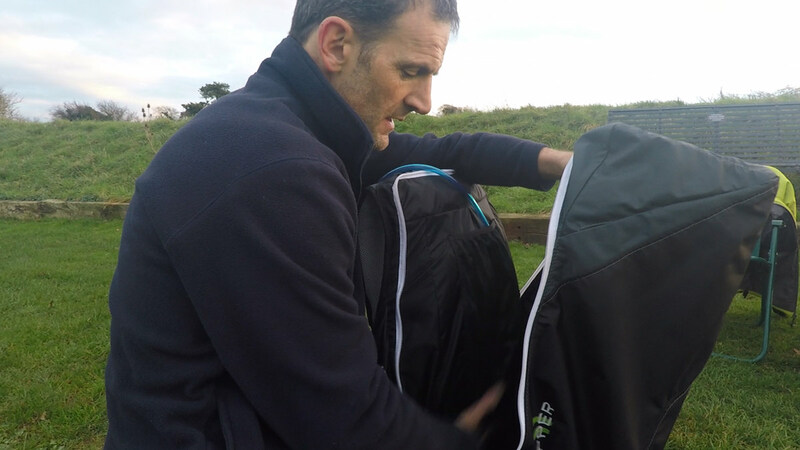 The rear storage pocket is large and easily accessed. There is an underseat ballast pocket which is rather small (3.5 litres?) and seems a bit of an afterthought, but you could possibly add more ballast beneath your instrument cockpit panel if you’re flying with a single reserve. The solo-reserve instrument panel has a good sized pocket with a nifty area for your USB battery pack, with a cable exit hole which makes powering your phone and instrument on the fly really easy. There’s a small radio pocket (which I used for my mobile phone), a side pocket (with lanyard) and another horizontal pocket (great for camera poles and water pistols). 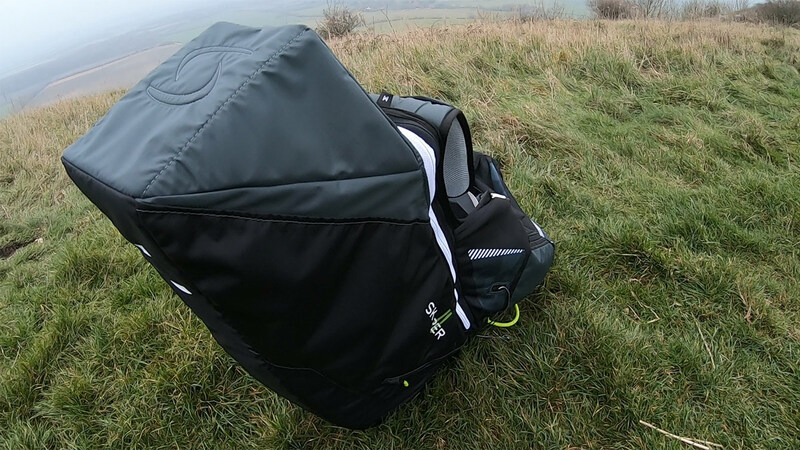 Like the Delight 3, the pod suffers from an array of loose webbing straps, which would be better tidied up against the sides to prevent the possibility of tangling up with your feet on entry. I found the narrow elasticated skirt a little tricky to get into, and this harness would benefit from a simple ‘ball and bungee’ system. 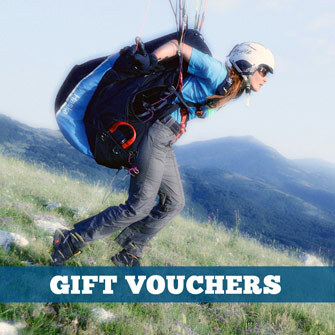 The main underseat reserve pouch is in a good position and has an effective closure system. Unfortunately the zippered reserve gusset closure tends to open slightly, but this is merely an irritation not a safety concern: easily fixed by running the zip down and back again. The shoulder point loops are wide enough to fit your own maillons for steerable reserve systems. The skin of the pod could be slightly cleaner: we found the setup quite critical to avoid producing an unrumpled outer surface. The pod aerodynamics are not as impressive as the heavier competitors, but it seems an adequate compromise when you consider the reduction in weight and bulk. 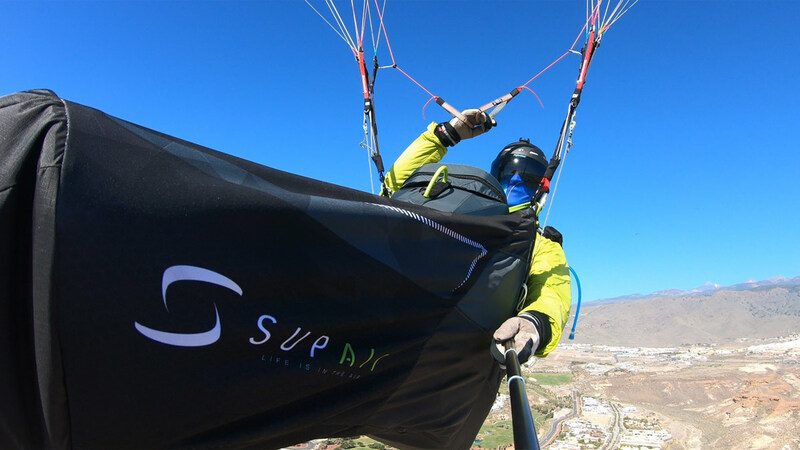 Supair SKYPPER 2: Who is it for? Pilots who upgrade to a high performance wing often find that their lightweight seatboardless harness offers inadequate control for their new purchase. They usually have two options: go for the full-fat competition harness and suffer the bulk of the aerodynamic fin, structural reinforcement and plush features; or ‘make do’ with a harness that makes them tire early and doesn’t truly ‘connect’ with the wing. 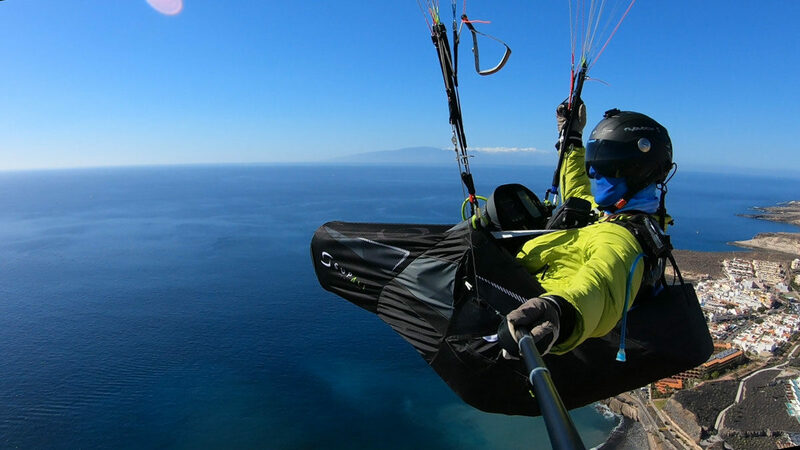 The Supair SKYPPER 2 offers a third choice: limited bulk, top-of-the-range features, and a focus on safety and comfort that means you won’t tire in extreme tasks or distance attempts. It might be slightly more weight than your average weekend XC pilot wants to carry from the back-country bomb-out, but it’s certainly worth considering if you’re looking at flying tasks and need good protection, competition flexibility, and comfort in flight. 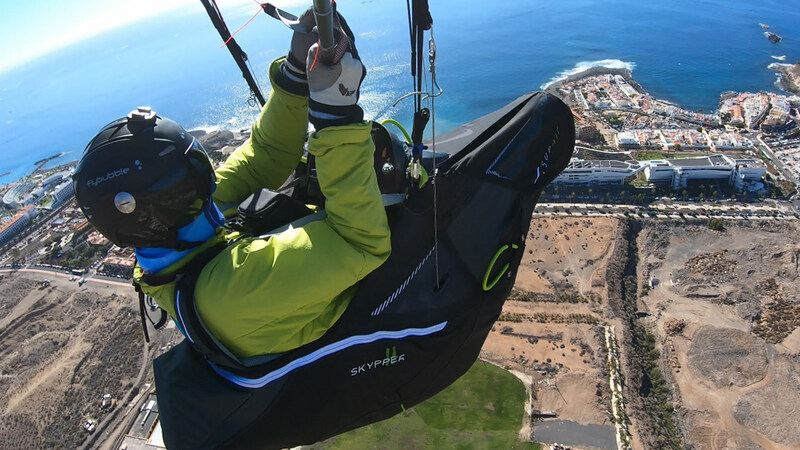 Carlo tests the harness in sunny Tenerife matched up with a modern high C wing.